It's that time of year again for Roosevelt Island - the opening of the 2013 United Nations General Assembly Session. 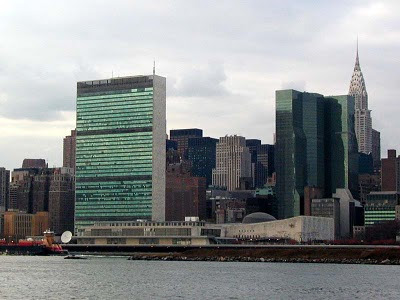 In the past that meant the closing of Roosevelt Island's Southpoint Park and the diversion of all East River Traffic adjacent to Roosevelt Island to the East Channel for security precautions due to our proximity to the United Nations. The United Nations General Assembly will hold its 68th session from September 16 to October 5, 2013. Accordingly, there will be heightened security across the river on the East Side surrounding the UN Building and on the Island as well. Four Freedoms Park will be closed to the public for the duration of the General Assembly. Also, expect to see heightened security around transit stations during this time. Will FDR Four Freedoms Park be closed during UN General Assembly week? I understand that the FDR Park Conservancy wants to keep it open during this time. Also, will Southpoint Park be open or closed during UN General Assembly Week? As a reminder, the UN General Assembly will convene on Monday, September 16th,2013 and close on Saturday, October, 5th,2013. Please be advised that both Southpoint Park and Four Freedoms Park will remain open during that time period. Can you explain why for many years the area that is now Southpoint and FDR Park was closed during the UN General Assembly session because of security reasons but this year those concerns no longer require the closing of the area during the UN General Assembly session? Also, do you know if all East River boat traffic will be diverted to the East Channel next to Roosevelt island during the UN General Assembly session as during previous years or is that no longer the case this year as well? Please be advised that the U.N. General Assembly will take place from Monday, September 16th, 2013 to Saturday, October 5th, 2013. Effective Saturday, September 21st, 2013 to Sunday, September 29th, 2013, West Channel harbor traffic will be diverted to the East Channel harbor. Bridge openings will be conducted daily from 7AM to 7PM. Each opening should take anywhere from 8-12 minutes to be completed. During this time NYPD, NYFD and EMS will be available to Roosevelt Island residents and visitors by dialing 911. 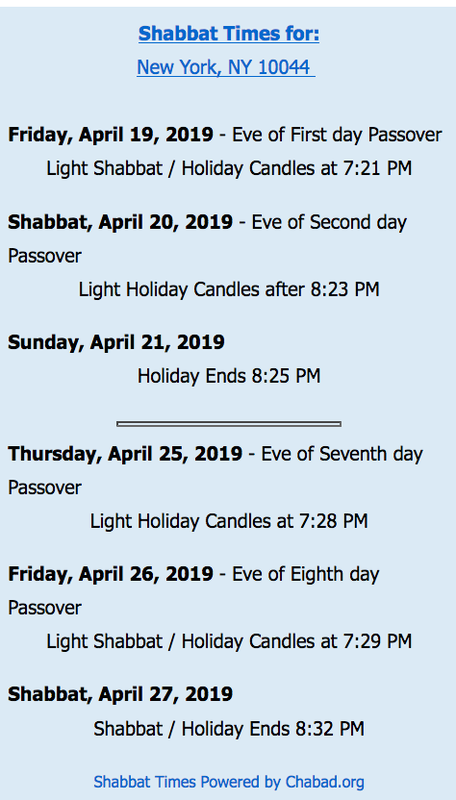 We apologize for any inconvenience created by this schedule. I cannot elaborate on your first question. With respect to your second question, yes, West Channel harbor traffic will be diverted to the East Channel. An advisory regarding that issue was just sent out. I will seek an explanation from NYPD and update when answer received. Wonder who the Four Freedoms Park was "negotiating" with to stay open? According to RIOC, eliminating the bus fare and doubling parking rates will improve the Roosevelt Island Red Bus efficiency, reduce traffic jams on Main Street and encourage greater use of the Motorgate Garage. School has started and Fall is moving forward at full tilt. Our Fall slate of activities is coming up quickly! 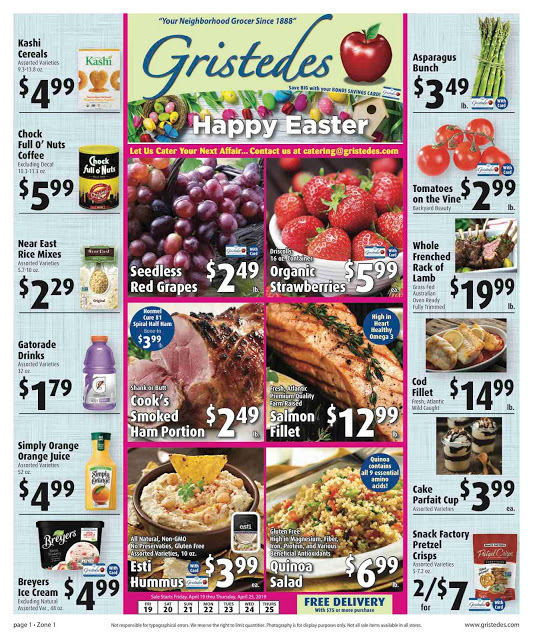 Be sure to keep your eye on our website and Facebook page to keep as up-to-date as possible. 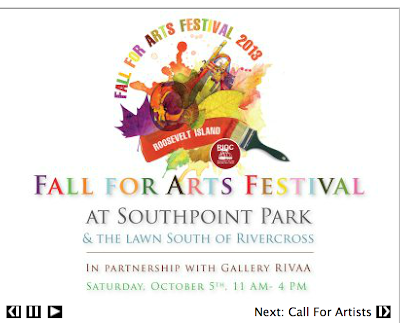 The date is set for our annual Fall for the Arts Festival. 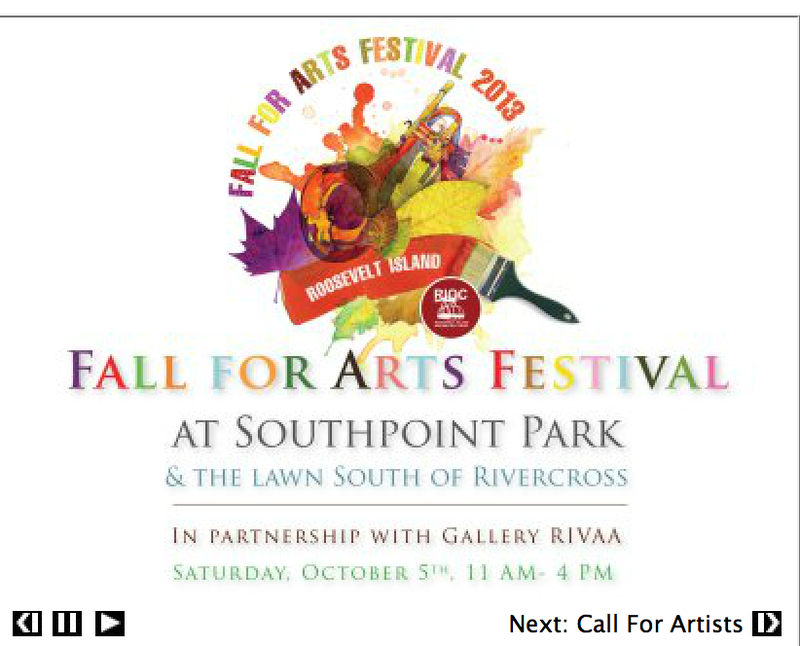 In partnership with Gallery RIVAA, RIOC will be hosting the Festival on October 5th at Southpoint Park and on the lawn south of Rivercross. There will be music, art, food and fun for all! I understand that the painting of large outdoor murals is the Festival’s most loved tradition. I look forward to viewing them both in the Park and later at the Motorgate Gallery. The theme for this year's event is "A Mystical Island." It is free to participate - paint and brushes are provided! We invite you to submit a sketch of your design or any inquiries to Anna.Rankin@rioc.ny.gov along with a title and short description. The deadline for sketches is September 21, 2013. We are happy to announce that the new tot lot located at Blackwell Park will open Thursday, September 19, 2013 with a ribbon cutting to take place at 3:30 pm. The tot lot will replace the current lot, which will be removed to begin the construction of Riverwalk Building 7 by Hudson/Related. This 200,000 square foot residential building, featuring 260 rental apartments, will take approximately 2 years to complete, according to the developer. Last weekend marked the beginning of a new partnership between the Roosevelt Island Youth Program and RIOC PSD. This fall a PSD officer will serve as an assistant soccer coach with the Youth Program. I would like to thank all involved, especially Interim PSD Director McManus and Officer Martinez for all their help in organizing this event. On September 19, work will begin in Section 4B North. The renovations have been moving steadily along throughout the garage and we would like to thank our residents and visitors for their cooperation as we modernize the facility. When the project moves to Section 4B North, new signage will be posted to help navigate the garage. The entire project is expected to be completed in Winter 2014. Ms Indelicato gave the following report to the September 12 RIOC Board of Directors meeting thanking RIOC staff for their hard work preparing for the meeting. The thanks were echoed by RIOC Director David Kraut. 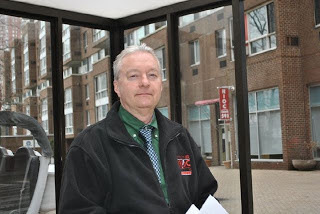 Mr. Kraut added that, with certain exceptions due to Hurricane Sandy, Roosevelt Island is in better shape now that at any time in his 35 years of living here. Roosevelt Island Operating Corp (RIOC) President Charlene Indelicato made her first appearance in front of the Roosevelt Island Residents Association (RIRA) Common Council last night. Ms. Indelicato told the RIRA Common Council and members of the audience that she has been RIOC President for nearly 4 months, noting this is her dream job and that she is enjoying it immensley. RIRA Common Counsel member Mark Lyon asked Ms. Indelicato about the status of NY State Inspector General reports concerning RIOC. Ms. Indelicato responded that she does not have the Inspector General reports or the Public Safety Audit report. RIRA Common Counsel member Joyce Mincheff asked about the Cornell NYC Tech negotiations. Ms Indelicato said they are still meeting and negotiating with Cornell but had nothing else to say on the matter other than she is waiting for more information from Cornell. Ms. Indelicato complimented the Roosevelt Island Community Coalition (RICC) on identifying the issues of utmost importance regarding the Cornell negotiations adding that RICC was "right on" in its analysis. RIRA Common Counsel member Frank Farance asked about strategic planning for Roosevelt Island. Ms. Indelicato replied that strategic planning is great but right now she is focusing on immediate needs such as the seawall, railing and steam plant. Here's Ms. Indelicato's appearance at yesterday's RIRA meeeting. Good job by Ms. Indelicato. 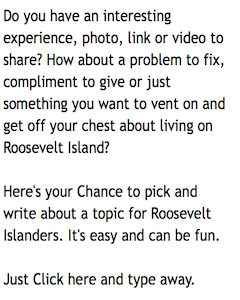 I hope she continues the dialogue with RIRA and residents of Roosevelt Island. The links to Agenda Item Board materials were added by me. Here's the story behind the creation of the Tribute In Light. More on the World Trade Center Tribute In Light presented by the Municipal Arts Society from previous post. 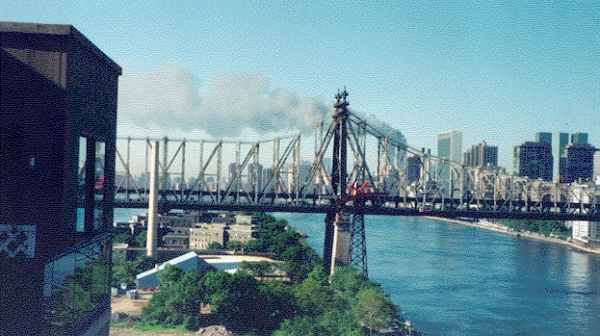 Here's what the World Trade Center attacks looked like from Roosevelt Island on September 11, 2001. Ed Beyea, Anthony J. Fallone, Taimour Khan, Scott Larsen, Kevin J. Smith and the firefighters who were based on Roosevelt Island Deputy Chief Ray Downey, Deputy Chief Charlie Kasper, Battalion Chief John Moran, and Battalion Chief John Paolillo. In past years, the Roosevelt Island Operating Corp (RIOC) and Roosevelt Island Residents Associations (RIRA) jointly held an annual 9/11 Memorial Service on the anniversary of that terrible day. But not since 2011. President Barack Obama has this to say earlier today. It’s hard to imagine that it’s been 12 years. In some ways so much has changed and in some ways so much remains the same. Physically there has been much progress. The stunning memorial that has been built, office buildings that have been built, the Freedom Tower now an international symbol of New York’s resilience. But despite the billions spent, despite all the years of construction, some things remain the same and some things should remain the same at Ground Zero. The reality is that Ground Zero witnessed the worst of humanity and at the same moment, the best of humanity. It is the site where we lost 2,606 souls that day, among them 403 first responders, 343 firefighters, including 11 firefighters from Rescue 1; but tens of thousands of New Yorkers were led to safety by these heroes. “This morning we took the ride that the Rescue 1 firefighters would have taken 12 years ago when they got the call to leave the firehouse early that September day. And I imagine that they knew that they were headed into danger, and I imagine that on that ride they were thinking about their sons and their daughters and they were thinking about their husbands or wives and their mothers and their fathers. But they continued on the ride, straight and strong, without deviation and without delay. And they made a point that is as true that morning as it is today – they proved to the world that strength and courage will always conquer weakness and cowardice. That duty and honor and service are paramount. They are words to live by and yes they are words to die by. And that the American spirit, defended by proud New Yorkers, will not be defeated. That lesson and that example lives today as powerful as it was 12 years ago. And it will live on in our hearts every day to guide and to inspire. That will be true for generations to come. May God bless the families of the victims, may God bring them peace, and may God bless the State of New York and the United States of America. As I write this, the RIRA Common Council is preparing for it’s first meeting of the year. I am urging everyone to come to the Good Shepherd Community Center on Wednesday September 11 at 8pm. RIOC President Charlene Indelicato will be there. It will also be a public session filled with organizations presenting good ideas about use of land on the Island and in Manhattan. Land is at a premium in New York City. How it is used and how that use affects everyone else creates an endless tug of war. We recently had a presentation by OEM about our evacuation zones. Did you know that our evacuation center, the Julia Richman Educational Campus on 67 Street between First and Second Avenue is a sturdy old building with excellent mini schools cooperating in the sharing of common resources. Among other resources, the school has an acoustically perfect auditorium a pool and an atrium room used as an art gallery. In 2008, it was in danger of being demolished in a land swap to make way for the badly needed updated Hunter College School of Nursing and a large science research center. This plan was halted by a vote of my class of Community Board 8. To find alternate space, Hunter College created an alliance with Memorial Sloan Kettering to build its updated nursing school and a Cancer treatment and research center. They located the site of a long vacant former sanitation garage off the FDR Drive and 73 Street. We Roosevelt Islanders will be able to watch the construction from our windows. The proposed construction project is working its way through the New York City land use process (ULURP) just like the one Cornell just completed. One might think it is a no-brainer to put vacant property to this good use. Think again. 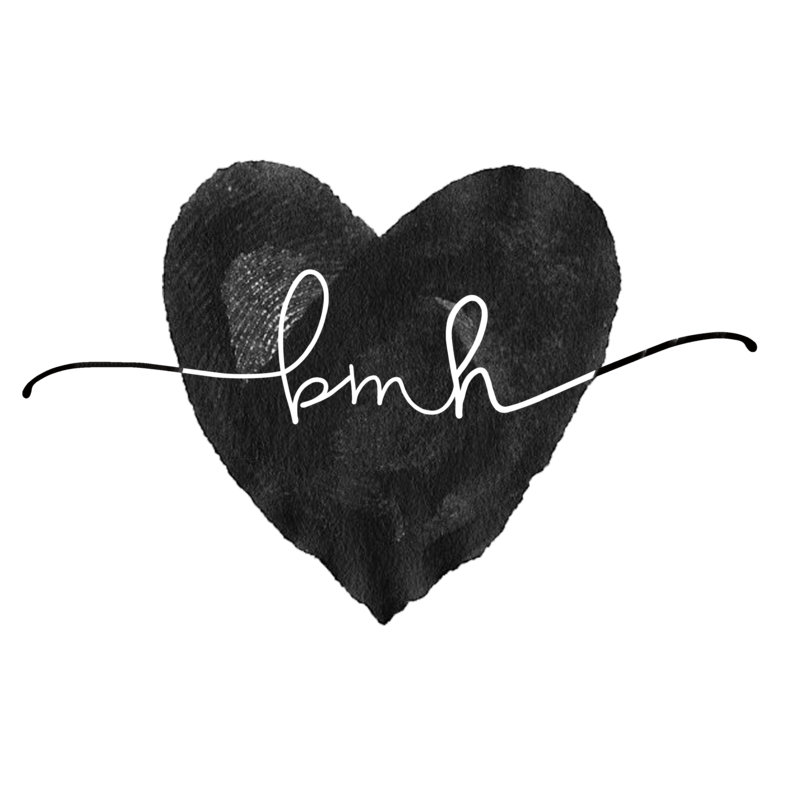 The community near that project is angry over the prospect of years of construction in their back yard and then future of living with the behemoth Hunter-MSK will create. The project’s developer is asking for a larger “floor to area ratio” (FAR) than City code usually allows for that zone. In return for an allowance of this bigger, denser building, the developer has agreed to provide funds to complete a long-awaited park a mile away. The community near that park is happy. Both communities are part of Community Board 8. This vote divided our Community Board in a very close vote during our part of the ULURP. Hope to see you at our RIRA meeting. and here is discussion on the proposed Korean Gazebo at Southpoint Park during July 16 RIOC Real Estate Advisory Committee meeting. Come learn what is happening on Roosevelt Island at tonight's RIRA meeting. PLEASE TAKE NOTICE that a meeting of the Audit Committee of the RIOC Board of Directors will be held on Wednesday, September 11, 2013 at 5:00 p.m. at the RIOC administrative office, 591 Main Street, Roosevelt Island, New York. Here's the RIOC approved budget for 2013 -14. With 98% of the vote in, the NY Times projects that Ben Kallos won the Democratic Party primary to represent Roosevelt Island and the Upper East Side in the NYC Council. According to the NY Times vote tally. Thank you! I'm honored and humbled and can't wait to represent you in City Hall. 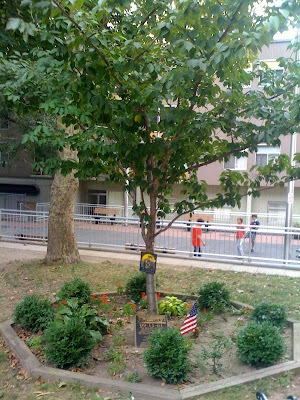 The Main Street WIRE has the Roosevelt Island vote tally for the 2013 Primary Election. I am honored to win the Democratic City Council primary in the Upper East Side and Roosevelt Island, the community I grew up in, and can't wait to represent District 5 in City Hall. On the streets yesterday, voters explained that our campaign's message of openness, participation and big ideas resonated with them, and that's the kind of Council Member I plan to be. I'm humbled by the strong support and look forward to working together to keep our neighborhood a great place to live. I want to thank you for all that you have done to support my campaign for City Council. Thanks to you and all those who supported my campaign, I was able to run a campaign that I'll always be proud of. 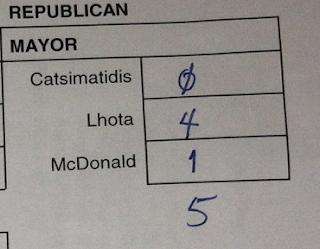 Unfortunately, I came up short today, and I did not win the Democratic Primary for City Council. I will always be grateful to you for your friendship and loyalty and for standing by me during a difficult campaign. With your continued support, I intend to redouble my efforts to deliver effective public service to the neighborhoods of Manhattan's Upper East Side, Yorkville and Roosevelt Island. Thank you once again for your support. I will never forget it! Bill de Blasio Wins NYC Democratic Mayoral Primary Election For Roosevelt Island's Octagon Building - Is Win Indicator Of NYC Primary Win For De Blasio? 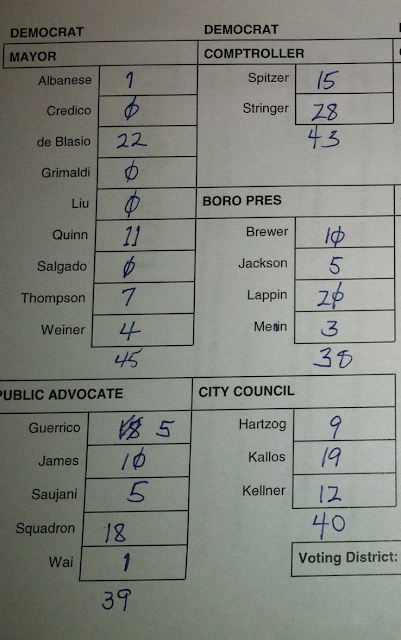 Here's a tiny sample of the NYC Primary vote tally. It's from Roosevelt Island's 87the Election District which is made up of residents from the Octagon Building and Coler Hospital. The vote tally was provided by Bill Long and Karen Burstein. For the Democratic Party Mayoral primary, Bill de Blasio led with 22 votes followed by Christine Quinn with 11 votes and Bill Thompson with 7 votes out of a total of 45 votes cast. For the Democrat Party Public Advocate primary, Dan Squadron led with 18 votes followed by Letitia James with 10 votes out of 39 votes cast. For the Democratic Party Manhattan Borough President primary, Jessica Lappin led with 20 votes followed by Gale Brewer with 10 votes out of 38 votes cast. 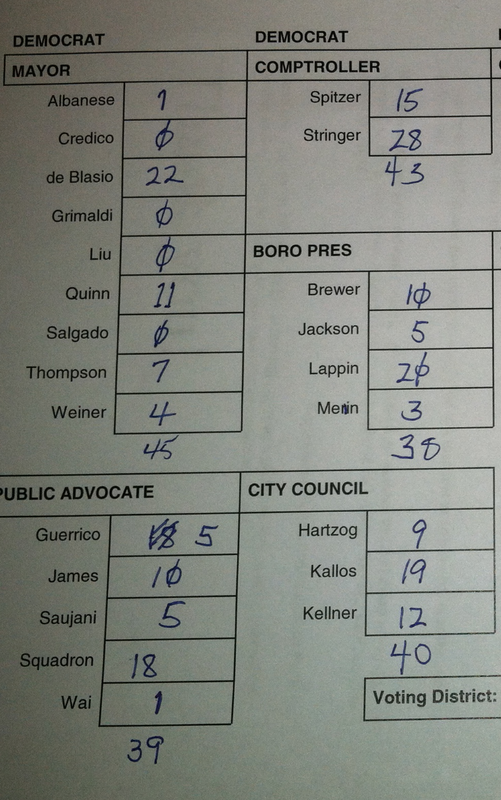 For the Democratic Party 5th City Council District primary, Ben Kallos led with 19 votes followed by Micah Kellner with 12 votes and Ed Hartzog with 9 votes out of 40 votes cast. Here's the complete Democratic Party Primary Tally vote sheet for the Octagon/Coler Hospital polling location. 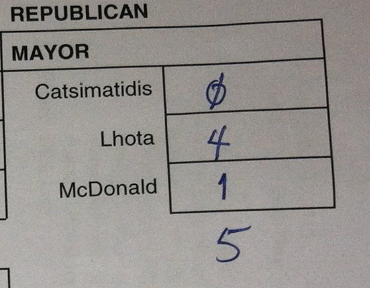 For the Republican Mayoral primary, Joe Lhota leads with 4 votes and George McDonald followed with 1 vote out of 5 total votes cast. Here's the complete Republican Party Primary Tally vote sheet for the Octagon/Coler Hospital polling location. 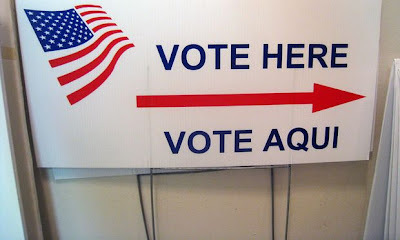 Don't forget today is NYC Primary election day so if you are a registered member of the Democratic or Republican party get out and vote. Roosevelt Island residents were out earlier today voting at PS/IS 217. More information on polling locations and a sample ballot here. and more on the Roosevelt Island City Council, Manhattan Borough President and Public Advocate elections as well as the Roosevelt Island Candidates Forum. Any idea when the new playground is opening? I see that it's finished, but has a chain on the gate. Any update when the new Southtown playground will open. Roosevelt Island kids are anxious to get in the new playground and try it out. Here's a walk around the playground today. Ms. Willard also reports that Hudson Related is working with RIOC for a Grand Opening Celebration of the new playground. Get back in the swim as the RI Business Networking Group kicks off with muffins and coffee at Riverwalk Bar & Grill. Another meeting will be held on Tuesday, September 24 at 546 Main Street with light snacks. Make new connections, catch up with other members and plan for the Fall. More information on the Roosevelt Island Business Networking Group at Linked In and previous presentations from RIBN members at this post. No Coney Island-bound F service at 21 St-Queensbridge, Roosevelt Island, Lexington Av/63 St, 57 St, 47-50 Sts, 42 St-Bryant Pk, 34 St-Herald Sq, 23 St and 14 St. The MTA has advised that there will be no Manhattan bound F trains beginning September 9th-13th from 11:45 PM Monday to 5 AM Friday. Trains will be rerouted via the E line to West 4th St.
For service to Manhattan, take the Jamaica-bound F train to Roosevelt Av and transfer to a Manhattan- bound F train. 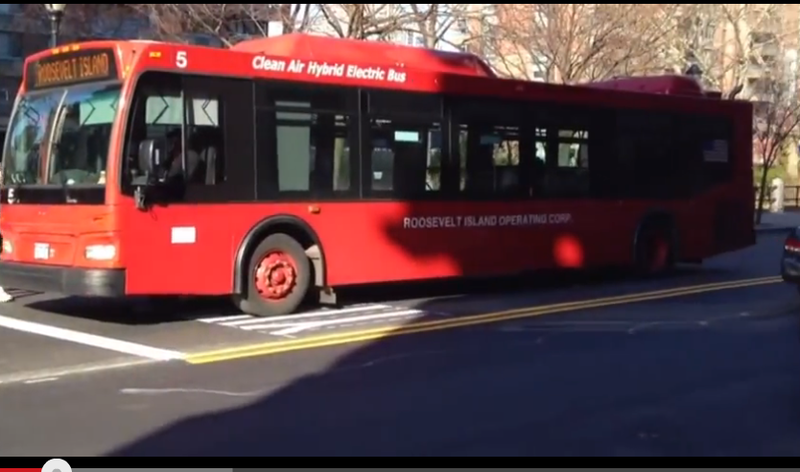 No word whether RIOC will extend the Roosevelt Island Tram hours during this time. and CBS's Charlie Rose interview with Syrian President Bashar Assad. As previously reported, the Roosevelt Island Residents Association (RIRA) held a NYC Candidates Forum last August 27. Current NYC Comptroller John Liu was the only Mayoral Candidate to appear and answer questions from RIRA President Ellen Polivy about about Roosevelt Island affordable housing, the community's relationship with Cornell NYC Tech, improving Roosevelt Island transportation and other important issues. Here's what Mr. Liu had to say. Reshma Saujani was the only NYC Public Advocate Candidate to appear at the Roosevelt Island Candidate's Forum and answer similar questions from Ms. Polivy. Here's what Ms. Saujani had to say. Also appearing at the Roosevelt Island Candidate's Forum were Manhattan Borough President Candidate Jessica Lappin and NYC Council 5th District Candidates Ben Kallos and Ed Hartzog. 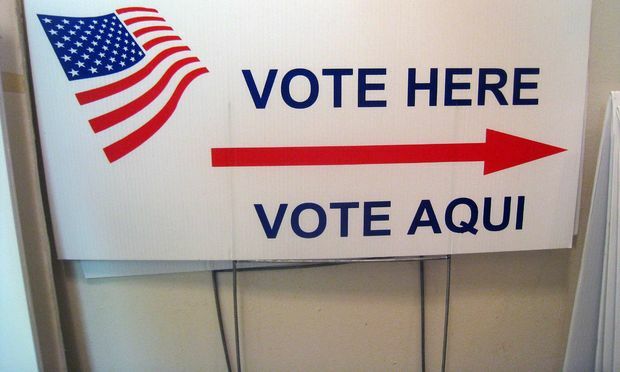 The Democratic and Republican Party primary elections will take place on Tuesday, September 10. Micah Kellner, Ben Kallos & Ed Hartzog Debate Issues Seeking To Represent Roosevelt Island And Upper East Side In NYC Council - Kallos Received Endorsement From NY Times and NY Post But Do Newspaper Endorsements Matter To Voters Any Longer? 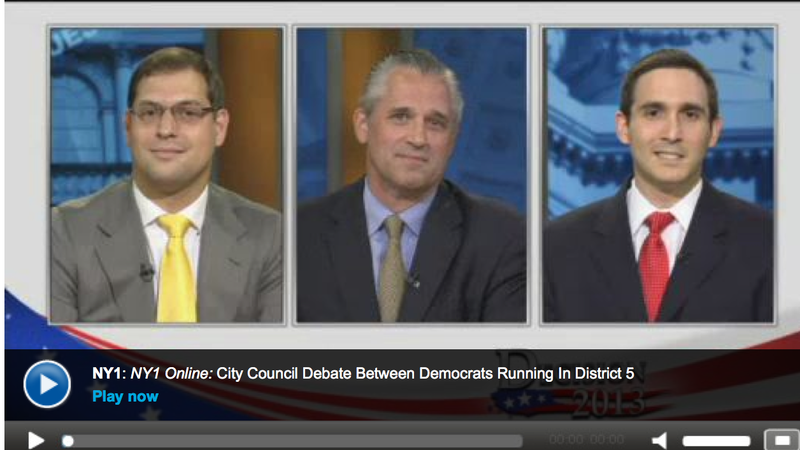 Reported last Thursday on the NY 1 Roosevelt Island/Upper East Side District 5 NYC Council Debate between Assembly Member Micah Kellner, Ben Kallos and Ed Hartzog. Click here for the full NY 1 Roosevelt Island/Upper East Side NYC Council Debate. The Manhattan Neighborhood Network and League of Women Voters for the City Of New York presented this debate among the candidates seeking to represent Roosevelt Island/Upper East Side in the NYC Council.